At Spearhead Pest Control we offer 4 methods of control for bed bugs. Sulfuryl fluoride gas fumigation (tenting), heat treatment, steam & dust (Green) treatment, and conventional liquid insecticide treatment. Each has its place and, as a professional, I understand the limitations each method has and how it should be applied. The goal is always to reduce hazards to people and pets and to increase our chances of complete eradication. This is what’s commonly referred to as Integrated Pest Management (IPM) but when training new technicians, I simply call it context. Each job has unique characteristics and challenges that must be accounted for. Unlike big companies that enforce broad policies on bed bugs leaving the technicians struggling to make these policies work for each customer, our only policy is that every job has its unique context and any solutions should be based on this premise. When we talk about Green pest control many people mistakenly believe this is the same as hazard reduction, so it’s important that we first identify what IS and ISN’T hazard reduction. Green is often conflated with Organic and this gets even more confusing when talking about chemicals. Organic has two meanings: in the context of growing crops it’s a method of growing intended to reduce hazard to the natural environment, not necessarily reduce hazard to people. There are organic certified pesticides that are far more hazardous to humans than synthetic bed bug pesticides, based on their toxicological studies and ratings. The belief that organic foods or crops are grown without pesticides is false but commonly held. A quick Google search of “OMRI approved pesticides” will prove that. The next definition of organic has to do with organic chemistry. This simply means it is based on carbon life forms and has carbon molecules and compounds. So when someone asks me if a pesticide is Organic, they could be asking if it’s a carbon compound or if it’s OMRI certified, neither of which is going to answer questions about whether it’s a hazard to people and pets, which is normally what they really want to know. Hazard reduction, in the context of IPM, is the methodical reasoning to find the best solution to your unique problem. This means taking into consideration pets, sleeping surfaces, number of occupants, type of home, type of roof, severity of infestation, etc. and matching that with our different solutions and their limitations. Our Green bed bug treatment method uses high powered steam to kill off bed bugs and their eggs, regardless of pesticide resistances or overgrown cuticle (see Pesticide resistant strains of bed bugs) then adds a dust barrier with long residual that works without a chemical pesticide or active ingredient. Not only is the method more effective at killing eggs than conventional heat treatment, it’s far less costly. Conventional liquid treatments have NEVER killed eggs in my experience and rarely kill bed bugs once dried and often require multiple follow up applications. When doing chemical liquid treatments my protocol was always to smash any eggs with my fingernail or pocket knife so I can be sure they won’t hatch. Lots of chemical manufacturers claim their products can kill eggs but my experience has been that none of them do so. Heat treatment takes hours to get to the appropriate temperature (118°F) which is plenty of time for bed bugs to find cooler, more insulated, places to hide and possibly survive the treatment. Our steamer, which is made specifically for professional bed bug application, attacks bed bugs and their eggs with over 350°F steam in an instant. They have no time to run and, best of all, that heat is controlled and only applied where I want it. This means essentially no risk of damage that’s common with conventional heat treatments. Another excellent bonus is that right after treatment, the occupant can go right back into the treated area. No waiting for pesticides to dry since steam is just water. No preparation or move out for the whole day like heat treatment or for multiple days like fumigation (tenting). When you factor in the lower cost, best warranty of all the options, and virtually non-toxic silicon dioxide dust and steam, you can see why this is our most popular option. 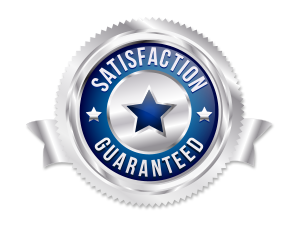 As far as efficacy, we stand behind this method 100% and offer our most comprehensive warranty with it. I’ve used this method on some of the most challenging multi-family, low income building infestations and gotten complete eradication. The owner of that building had been battling bed bugs for years and when he saw how I can knock them out easily he called me “a miracle worker”. No miracles here. Just hard work, applied science, and a mastery of my tools. For more information and a free consultation call us today or fill out a contact form. The premier pest control company in the LA, Ventura, and Santa Barbara areas. Specializing in the most difficult bed bug jobs.